Using social media to drive brand engagement is nothing new. But how do you make sure your brand is keeping up with the evolving trends to survive in today’s competitive market? 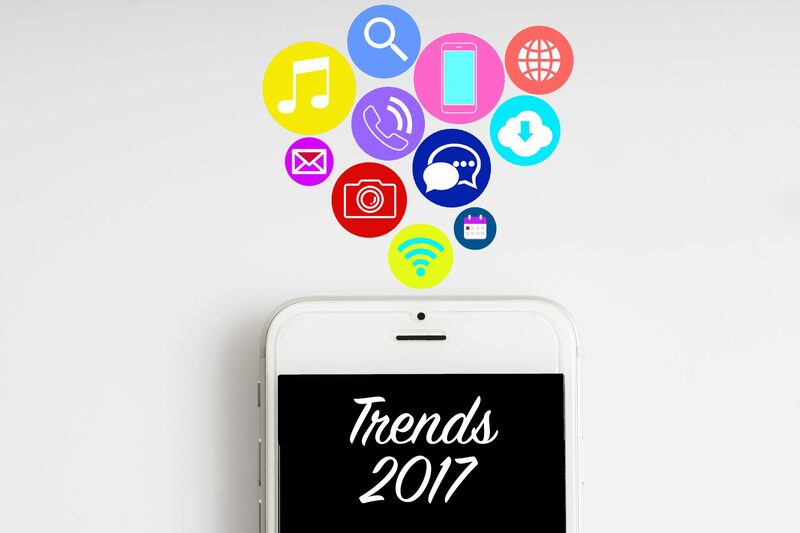 This blog post explores the social media trends that will dominate 2017. From virtual reality technology to the proliferation of artificial intelligence in the social sphere, these trends serve as a definitive guide to social media marketing. Keeping up with social media trends is not an option, it’s a must. In 2017, we predict that some of this past year’s trends will be reinvented as brands discover the power of personalised, interactive experiences for increased engagement. These are the trends we’re looking out for in 2017 that we think will take social media campaigns to new levels. Virtual Reality is the next big thing for social media. This technology creates an artificial environment that allows the user to feel as if the environment that has been created is real. Facebook has already begun to incorporate virtual reality into their platform with 360 Video and we expect many social platforms to follow. With 360 video, users can choose what angle they would like to view the video and zoom in and out as they please. Virtual Reality makes users feel like they are in the moment and living whatever content they are viewing. In the coming year, we will begin to see VR grow into a new marketing channel and possibly a social network. In today’s always-on world where people expect to see events unfold as they happen in real-time, it’s all about being present, interactive and transparent with live streaming video. From sharing exciting personal events to unveiling a new product to a worldwide audience, the possibilities of live streaming are endless. Although live streaming isn’t brand new, its popularity continues to soar. Instagram has already taken steps in that direction with Stories. Although this is not actually Instagram has already taken steps in that direction with Stories. Although this is not actually live streaming video, the posts are updated constantly by users and directly rivals Snapchat. By investing in “live” social video and building momentum from previous versions, both of these social networks will see a surge in use and engagement in 2017. One of the main trends we expect is the rise of Artificial Intelligence in Social Media. Companies such as Facebook and Google are revitalising their efforts to integrate social and artificial intelligence in new ways. The main trend that we expect regarding AI are chatbots. Users can interact with chatbots via text or instant message. These bots are used to perform tasks to make people’s lives easier. Some social platforms have already begun to use this form of artificial intelligence. This trend will explode in 2017 and more companies will integrate chatbots into their social accounts, which will enhance the customer/user experience. Guest Author: Katie Kern, Vice President of Marketing & Public Relations, Media Frenzy Global, a technology and marketing communications agency serving clients throughout Europe and North America. The company can also be found on Twitter. Katie Kern received a few important recognitions for her contributions to the industry and has been presented with the City of Atlanta Phoenix Award, the Charleston American Marketing Association Spark Award of Marketing Excellence for an Event, and was a Digital Marketer of the Year Finalist. She is also a board member for the TAG Marketing Society and mentors finalists for the Atlanta Startup Battle, a quarterly pitch competition for newly established businesses. Do you want to discover more Social Media Trends for 2017? Hi Carmen! I’m going through all your blog posts – really like them 🙂 Back to your post here, Ive done experiments with Facebook live for our social media channels – but never explored VR or chatbots. Read the other article on chatbots but I’d rather have a human being to communicate to our customers etc. Have you tried it yourself? I can imagine it takes a lot of your workload and availability for each customer is higher – just wondering how customers / followers react to it? How do they feel about a chatbots? Have you done a survey to get insights? I might actually try this out! Let me know. The only chatbot I tried is Amazon’s Alexa and I love it 🙂 So much easier to look for info and great to receive recommendations of what you may like based on your previous choices. She was spot on so far. I am sure in a couple of years we will see more and more.